Owning a small business in America is one of the greatest accomplishments for any person. It takes an enormous amount of courage, effort, discipline, time, and money to start and maintain a successful business. Your Indiana business insurance is just one aspect of the business and it should not be overlooked. If your business is not properly insured then you are running the risk of each day being the last your doors are open to the public. There are several areas that a business can lack insurance coverage and ultimately lead to their demise. These gaps range from simple things such as listing the right business on the policy to not providing workers compensation insurance. I will cover the basics for your Indiana business insurance including property, auto, general liability, workers compensation, and umbrella insurance. It’s crazy how often a business owner gives me the name of their business and it’s actually a DBA or “doing business as” name. Always insure your business under the legal entity name and then list the DBA(s). If your business has sub entities and own multiple buildings, vehicles, etc. make sure to list all legal entities as named insureds to ensure a potential claim is paid. 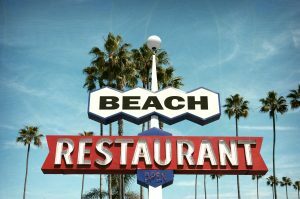 The owner of Beach Restaurant likely has a different legal entity name that needs to be listed as named insured. Beach Restaurant should also be included as a DBA for the business. So, you have a claim. This is the reason we buy insurance, right? Yes, it is until you find out you have to pay more out of pocket than your deductible..
Insurance is very complex and can be like learning a foreign language. Property insurance may seem pretty straightforward since you are protecting your building and business personal property. Many business owners, like homeowners, have difficulty understanding the concept of replacement cost vs. market value when it comes to insuring their building. This can result in a coinsurance problem. Most people recognize coinsurance in health insurance, but it also plays an important role in property insurance. According to Marshall & Swift/Boeckh, 75% of businesses in the U.S. are underinsured by 40% or more! Most policies contain a coinsurance clause that ultimately states if you are not insured to value then you will share in the loss. Total losses aren’t common, but partial losses are and if your business is not insured properly then you could pay more than your deductible when a claim occurs. While your building and personal property is getting repaired/replaced, how are your operating expenses getting paid? It’s astounding how many prospects I get who do not have business income coverage as part of their Indiana business insurance program. How could they stay in business if their insurance only pays to rebuild their building or replace their contents? Your operating expenses don’t cease because you suffered a loss. Business income coverage can be the difference between staying afloat and never re-opening. An additional coverage that is often included with business income is extra expense coverage. This pays for additional costs above your normal operating expenses to continue running your business. Examples include renting a new space, renting equipment, using third parties to produce your product, etc. Business income coverage for dependent properties is another area of business income that many policies don’t include. Many businesses depend on other business for their daily operations. For example, a restaurant’s produce supplier has a fire at their warehouse and can’t make deliveries for at least a month. What does the restaurant do? They could contact another supplier, but what if they can’t make it for a week? The restaurant would definitely suffer and business income coverage for dependent properties would provide some relief. One of the most common mistakes business owners make is insuring personal vehicles on a business auto policy or vice versa. It is critical that the owner of the vehicle insures the vehicle. Joe Smith owns Joe’s Garden LLC and buys a new truck through his business. Joe mistakenly insures the truck on his personal auto policy even though it is titled in Joe’s Garden LLC’s name. The personal auto insurer could deny a future claim upon finding out who the owner of the vehicle is! Hired and non owned coverage should be added to every Indiana business insurance policy. The hired liability is for any vehicle the business hires, rents, or borrows. The non owned liability applies to vehicles driven for business purposes that are not owned by the business. Typically, non owned coverage applies to employees driving their own vehicles for business purposes. Hired and non owned liability pays for bodily injury and property damage claims. This coverage is secondary to the primary coverage held by the owner of the vehicle. 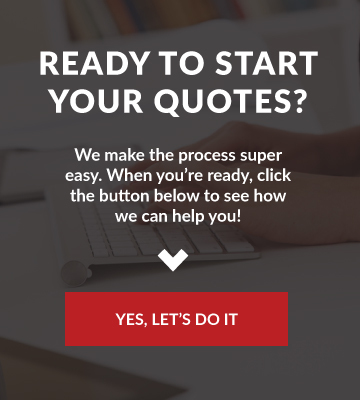 It’s designed to pay for lawsuits against the business for bodily injury claims. I also recommend purchasing hired auto physical damage as well to provide protection for the hired, rented, or borrowed vehicle. The owner of non owned business vehicle is responsible for insuring the vehicle for physical damage. Symbols – What do they mean?! Any auto; This is the broadest liability coverage a commercial auto policy offers. It covers any automobile whether it is owned, scheduled, non-owned, or hired. Owned autos only; Symbol 2 provides coverage for any auto owned by the insured, including any auto owned after the inception of the policy. It also provides liability coverage for trailers used with any owned vehicle. Private passenger autos owned by the insured; This symbol provides liability coverage for non commercial grade vehicles – i.e. sedans, coupes, light pickup trucks. All autos other than private passenger owned by the insured; Symbol 4 has the same coverage as symbol 2 except it does not provide coverage for private passenger vehicles. All owned autos which require no-fault coverage; This symbol does not apply for Indiana business insurance as we are not a no-fault state. Owned autos subject to compulsory U.M. law; The Insurance Information Institute provides some great detail on compulsory uninsured motorists. Autos specified on schedule; Coverage is only provided for the vehicles specifically listed on the schedule of the policy. This could cause a huge gap if you forget to notify your agent when you purchase a new vehicle. Hired autos; Any auto the insured hires, leases, rents, or borrows for their own use. Employees and family member usage of hired autos is not covered unless additional endorsements are purchased. Non-owned autos; Symbol 9 covers autos the insured does not own, lease, hire, rent, or borrow. As mentioned above, this coverage typically applies when employees use their personal vehicle for business purposes. Your auto symbols might as well be Chinese if your agent hasn’t properly explained them to you. Most commercial auto policies have a $1,000,000 in combined single liability limits for bodily injury and property damage. EVERY commercial auto policy should have symbol 1 for their liability as it offers the broadest form of coverage. Symbol 2 provides the best coverage in respects to comprehensive & collision physical damage. It is best to have your agent discuss the differences in the coverage symbols as they may slightly differ from carrier to carrier. There’s no way I couldn’t mention loan/lease gap coverage when gaps in your coverage is the main focus of this article. This coverage pays for the gap between the actual cash value of the vehicle and the amount owed on the vehicle. For example, you purchase a 2018 Chevy Impala for $30,000 and finance the entire cost of the car. If you cause an accident a month later then the value of the Impala has likely gone down a few thousand dollars to about $27,000. Meanwhile, you still owe $29,500 on the note. Gap coverage will pay the additional $2,500 so you don’t owe the lienholder any additional money. General liability is a key component to your Indiana business insurance program. General liability generally (see what I did there) covers bodily injury & property damage, medical expenses, personal & advertising injury, products & completed operations, and damage to rented premises. For the sake of brevity, I will focus on a couple of the gaps I most often see in general liability policies. A common error I see on policies is not having enough damage to rented premises coverage. $100,000 may be enough coverage if your office is in a van down by the river, but any successful business usually occupies a space that requires significantly more coverage. Another mistake is that some leases require you to insure the building. Usually your landlord will ask for an evidence of insurance showing building coverage is in place and require to be named as an additional insured. Policy endorsement used to add coverage for additional insureds by name—for example, mortgage holders or lessors. There are a number of different forms intended to address various situations, some of which afford very restrictive coverage to additional insureds. (Rather than naming each additional insured, a blanket additional insured endorsement sometimes is available.) See also Additional insured; Contractual risk transfer; Named insured. As the definition points out, sometimes it is best to add a blanket additional insured endorsement to your policy. This is particularly relevant to contractors since they tend to work with several other contractors on any given job. Conversely, not being listed as an additional insured on another business’ policy could spell trouble. Other businesses are quick to bring a lawsuit against you and your employees could easily sue as well. We live in a very litigious society today. My generation, the millenials, are often referred to as snowflakes for how easily offended we are. How do you protect your business from a lawsuit brought upon by an employee? Employment practices liability insurance covers acts of wrongful termination, discrimination, sexual harassment, defamation, career deprivation, and invasion of privacy. Disclaimer: any intentional or dishonest act is excluded from coverage. If you don’t have EPLI coverage then your business is in serious danger when a current or former employee claims any employment process wrongdoing. Another component to your Indiana business insurance program to help protect you and your employees is workers compensation. The state of Indiana requires employers to have workers compensation if they have any employees. If you are a sole proprietor, independent contractor, or owner of an LLC or S-Corp then you can file for an exemption with the state to be excluded. The biggest mistake with work comp that I see business owners make is not obtaining coverage period. For some reason, they believe that they don’t need coverage. To reiterate, if you have any employees you are required by law to obtain work comp. 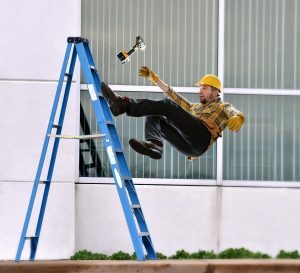 What if your employee gets seriously injured at work? How do you expect to pay their medical bills and lost wages without work comp? Work comp is extremely critical to have and could certainly cause you to go out of business if you decide to not obtain coverage. Indiana also has some of the lowest work comp rates in the nation. So, do yourself a favor and get a policy today! Don’t let your business come tumbling down like this worker by not providing work comp! Once you’ve obtained your property, auto, general liability, and work comp insurance the last component to your Indiana business insurance program is an umbrella policy. I should clarify my previous statement, there are numerous other policies/coverages a business owner should consider purchasing. These are just the most common policies for Indiana business insurance. Your business may require professional liability, cyber liability/data breach insurance, flood, or crime coverage to name a few. I’ve highlighted several gaps that are found in many Indiana business insurance policies. Yet, there are plenty of other coverages that your business may need. If you’ve made it this far in the article you’re probably wondering what you should do next. It’s pretty simple! 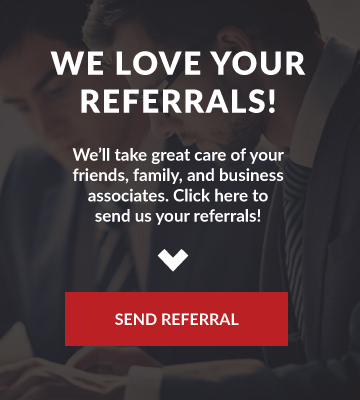 You can schedule a call with me to review your current policies or to initiate your policies if you’re a new business. You can also fill out our quote form below. Thank you for taking the time to read this article and I hope it helps you understand the insurance world a little more. 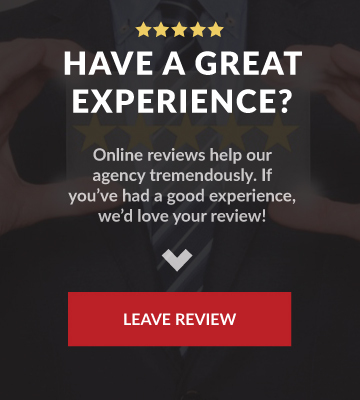 Previous Post: Why Should I Use an Independent Insurance Agent?